In 1997, Col Philip Corso’s book, The Day After Roswell, appeared and quickly rose into the New York Time’s best seller list with his revelations concerning his role in a classified program to seed extraterrestrial technologies into the private sector. Col Corso had a distinguished career as a Military Intelligence officer, serving in senior positions during the Second World War, the Korean war, and under the Eisenhower administration. It was during his assignment as ‘Special Assistant’ to Lt General Arthur Trudeau, who headed Army Research and Development, that Corso became head of the newly established Foreign Technology Desk. During this assignment from 1961 to 1963, Corso claims to have regularly passed on to various corporations, key ‘foreign technologies’ that were in fact, extraterrestrial in origin. This led to breakthroughs in developing the integrated circuit, night vision technology, fiber optics, super tenacity fibers, lasers and other cutting edge technologies. Corso’s book details a remarkable case; a former senior military official emerging as a whistleblower to reveal information about classified projects involving extraterrestrial vehicles (ETVs) or extraterrestrial biological entities (EBEs). Since the publication of his book, there has been much controversy between those believing Col Corso was blowing the whistle on classified U.S. Army activities involving seeding extraterrestrial technologies into private industry, and those believing Corso distorted his distinguished military service in order to assume a historical role far beyond his actual achievements. Those most critical of Col Corso believe that he was prone to embellishing his service record. Most criticism has centered around a number of public statements Corso made that appear to be inconsistent with what can be verified in public documentation. Corso’s credibility as a distinguished military officer coming forward to reveal his role in such a classified program shortly before his death, is at the center of the debate of whether his claims are valid or not. Col Corso’s claims placed a number of veteran researchers of the UFO phenomenon in the uncomfortable position of dismissing the testimony of a highly decorated officer. Documentation does put him in places and positions where the events he claims to have witnessed could have occurred as he described. Nevertheless, there have been some inconsistencies found in what Col Corso claimed and what can be documented. This has lead to intense debate between those who consider these inconsistencies to be minor, and those believing the inconsistencies to be sufficiently significant to warrant dismissing Corso’s credibility and testimony entirely. Some of Corso’s critics have gone as far as publicly dismissing Col Corso as a fraud and ‘literary hoaxer’.1 Corso’s strongest critics include veteran UFO researchers such Stanton Friedman, Dr Kevin Randle and Brad Sparks who collectively have expressed their skepticism. Many of the criticisms made against Corso cross the Rubicon dividing objective criticism and outright debunking. This invites speculation of the motivations of Corso’s critics who undertake such a concerted debunking effort against a highly decorated military whistleblower whose revelations do much to clarify the UFO phenomenon. Files on Col Corso gained through FOIA include his service record and a declassified FBI report.2 To assist my evaluation I use statements from an Italian version of Col Philip Corso’s original notes that were published in Italy as L’Alba di una Nuova Era [Dawn of a New Age].3 These notes have not been published in English. They comprise Corso’s raw beliefs on a number of UFO issues prior to his collaboration with co-writer William Birnes in The Day After Roswell. I examine each of the most significant criticisms raised against Col Corso’s credibility as a whistleblower, and assess whether Corso’s critics cross the line between objective criticism and debunking. First I will describe the difference between objective criticism and debunking to establish some guideline for determining when Corso’s critics cross the Rubicon and become debunkers. The UFO phenomenon has led to numerous claims by many individuals concerning various aspects of this complex phenomenon. Analyzing these claims requires an objective approach to the evidence not overly influenced by the investigators own prior beliefs. I attempt to distinguish between critics committed to an objective investigation of the evidence, and critics who use their criticisms to promote prior beliefs. This definition contrasts with ‘debunking’ which is driven by an investigator’s prejudice based on prior beliefs, and disingenuous efforts to manipulate evidence to promote a particular conclusion. It is worth pointing out that debunking was officially sanctioned by the Robertson Panel as a means of discrediting a great number of claims concerning UFOs. In January 1953, a group of scientists chaired by Dr Howard P. Robertson and covertly funded by the CIA, recommended that UFO sightings be debunked due to the potential for manipulation of this information by ‘foreign powers’ in a way that would undermine U.S. national security. 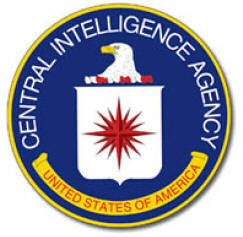 Consequently, a CIA sanctioned policy of debunking UFO reports had begun. This needs to be considered when examining the critics of UFO related claims or witnesses. Objective criticism can be most easily distinguished from debunking in three ways when it comes to whistleblower testimonies. First, the objective critic is willing “to consider alternative explanations” if any inconsistencies are found in what the whistleblower claims and what can be objectively verified. In contrast, a debunker will automatically reject alternative explanations and will dismiss UFO related claims if any inconsistencies are found. Second, the objective critic will scrutinize inconsistencies and seek to judge how significant these are in relation to the claims made by the whistleblower. In contrast, a debunker will highlight such inconsistencies, overplaying their significance in relation to the integrity and reliability of the whistleblower. Third, the objective critic will evaluate the pros and cons for a whistleblower’s testimony and reach a balanced assessment. In contrast, a debunker will focus on the cons and argue for dismissing the testimony of the whistleblower, regardless of the pros. 2. Was Col Corso a (staff) member of the National Security Council? There have been two major criticisms of Corso’s claims regarding his service with the NSC. One, by Stanton Friedman and Dr Randle criticize Corso for claiming to have served on the NSC itself, rather than as a liaison officer on an NSC committee. The second criticism by Brad Sparks claims that neither the Psychological Strategy Board (PSB) or the Operations Coordinating Board (OCB) both of which Corso served on, were part of the NSC. These critics all conclude that Corso embellished his precise role with the NSC and that his entire testimony therefore becomes unreliable. I deal with each of these criticisms in turn. 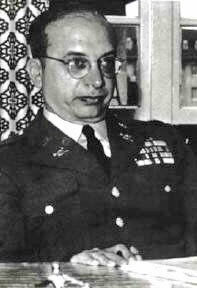 Corso’s military record confirms that from 1953 to 1956, he was given intelligence staff assignments on both the Psychological Strategy Board (PSB) and the Operations Coordinating Board (OCB). It can therefore be confirmed that Corso was assigned as an intelligence staff member to at least two committees that performed important psychological warfare functions within the Eisenhower administration. Two of these committees, the PSB and OCB almost certainly dealt with managing the public response to UFO information. Friedman’s criticism of Corso stems from a sworn affidavit made by Col Corso two months before his death in July 1998. Friedman conducted research at the Eisenhower Library into Col Corso’s claim of having being a ‘member of the NSC’. Friedman says that the archivist never found any evidence that Col Corso served as a member of the NSC or attended any NSC meetings. You want to believe that Corso was on the National Security Council. If you do any checking… you will find that the NSC’s membership is determined by Statute. He had none of the positions that would have permitted him to be named a member. Do you have any reason to claim that the Eisenhower Library was lying when they said he was not a member and did not attend any meetings? The problem in settling this issue is exactly what part of the NSC did Corso claim to be a member of? 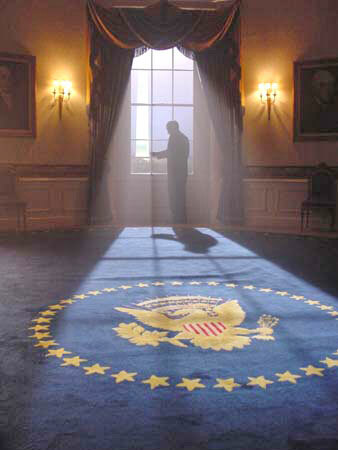 What is the cabinet level committee chaired by the President generally known as the NSC, or one of the various interagency committees formally and/or functionally associated with the NSC and generally described as comprising the NSC system? At the apex of the NSC are cabinet level officials and heads of various departments and agencies meeting regularly to discuss national security issues. Col Corso never claimed, in his book or notes, to have been a member of the NSC as described above, but that he had been on the NSC staff. This suggests that the Affidavit, signed only two months before his death at 83 years of age, containing the reference to him having been a member of the NSC, can be attributed to human error. President Eisenhower created the Operations Coordinating Board (OCB) to follow up on all NSC decisions. The OCB met regularly on Wednesday afternoons at the Department of State, and was composed of the Under Secretary of State for Political Affairs, Deputy Secretary of Defense, the Directors of CIA, USIA, and ICA, and the Special Assistants to the President for National Security Affairs and Security Operations Coordination. The OCB was the coordinating and implementing arm of the NSC for all aspects of the implementation of national security policy. NSC action papers were assigned to a team from the OCB for follow-up. More than 40 interagency working groups were established with experts for various countries and subjects. In addition to the ‘Operations Coordinating Board’ being responsible for implementing NSC decisions it was also mandated to report to the NSC as stipulated in the executive order creating it. While formally independent, the OCB and the PSB were functionally part of the NSC system, since it was required for them both to report to the NSC and implement NSC decisions. Consequently, it can be concluded that Corso served in a support staff capacity to the NSC rather than having been a member of the NSC proper. NSC was the ultimate government entity to which the Operations Coordination Board had to report and implement decisions received from. This view that the OCB was functionally part of the NSC was confirmed by the FBI report so it is true that Corso served on the staff of the NSC. The origin of Corso’s sworn statement that he had been a member of the NSC related to his membership in one of the subordinate committees - the OCB and its predecessor the PSB. Friedman has taken Corso quite literally to mean that he served on the NSC when it’s clear from the context of his book, notes and interviews, Corso was only referring to his membership in the Operations Coordinating Board and other committees attached to the NSC. This has led to Friedman concluding that Corso was making misleading statements of serving both as a member of the NSC and attending NSC meetings involving the President and other Cabinet level officials. This explains why the Eisenhower Library archivist could find no evidence of Corso having been a member of the NSC or having attended NSC meetings, Friedman was looking at the wrong committee in terms of Corso’s membership and attendance. Clearly, Corso attended meetings of the NSC Operations Coordination Board and PSB, so Friedman’s contention that he could not find records confirming Corso’s attendance at NSC meetings is misleading. Corso clearly attended the PSB and OCB meetings during his four year assignment to the Eisenhower administration and the NSC. Dr Randle is also reaching a mistaken conclusion about Corso’s veracity as a whistleblower based on his focus on a statement made in Corso’s affidavit and taken out of context to infer something negative about Corso’s background. Corso had earlier cleared such a possible confusion in his book and during subsequent interviews. Dr Randle failed to examine the precise role Col Corso played in the NSC and the various committees he attended, and how the NSC is a multi-tiered institution. Col Corso was clearly assigned to the military staff of both the PSB and OCB which were part of the NSC system developed in the Eisenhower administration. Another criticism is made by Brad Sparks who claims that the OCB did not become formally part of the NSC until 1957 as a result of Executive Order 10700 that incorporated the OCB into the NSC. Sparks claims that Corso was embellishing his military service by claiming that he had served in the more prestigious NSC as opposed to the less prestigious OCB. Sparks criticism is incorrect in a number of ways. First, the OCB was functionally part of the NSC from its inception due to its reporting to and implementing NSC decisions. The OCB’s formal incorporation into the NSC in 1957 was done for organizational reasons, and did not change its chief function as an interagency committee that was part of the NSC system. Second, an FBI record refers to Corso having served on the OCB NSC, thereby confirming that it was widely understand that the OCB was part of the NSC from its inception. Fourth, Robert Cutler wrote an official history for the CIA about his experience while serving as Eisenhower’s Special Assistant for National Security Affairs. Cutler served on the Psychological Strategy Board, the NSC Planning Board and the Operations Coordinating Board from the years 1951-58. A significant flaw in Sparks’ argument is that he is not consistent in his criticisms. His more recent criticism against Corso is a reversal of his previous position that the PSB was part of the NSC and that Corso had been appointed to the NSC when serving in the Eisenhower administration. The documentary and historical evidence supports Corso’s contention that he served as a staff member of the NSC while assigned to the OCB and PSB. Furthermore, Sparks’ criticisms of Corso fail to be consistent. Sparks has been the most dismissive of all Corso’s critics when it comes to Corso’s credentials and background. This suggests to this author that he is motivated to disparage Corso regardless of the documentary evidence supporting Corso’s claims. In the case of Friedman and Dr Randle, both try to disparage Corso by emphasizing his alleged claim in his Affidavit of having served on the NSC itself. They ignore Corso’s repeated statements, made earlier, to having been a staffer assigned to the NSC. They put great emphasis on what is obviously an oversight on Corso’s part that can be attributed to his deteriorating health. They ignore previous interviews and writing which consistently claim that Corso had served on the NSC staff. This suggests both Friedman and Randle are intentionally posturing to disparage the significance of Corso’s testimony by over emphasizing inconsistencies in his testimony. The failure of Randle, Sparks and Friedman to consider alternative explanations for inconsistencies in Corso’s testimony; their overblown emphasis on the significance of the inconsistencies; and their lack of effort to reach a balanced conclusion over the pros and cons of Corso’s testimony, suggests they have crossed the Rubicon from objective criticism into debunking. 3. Did Col Corso officially work with Majestic-12? Documentary evidence for a possible official relationship between Corso and MJ-12 is found in his official military records. Col Corso’s records point out that he served on the Psychological Strategy Board (PSB) in 1953; and also on its successor the Operations Coordinating Board (OCB) from 1953-56. 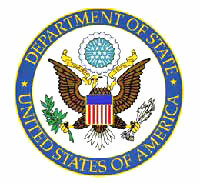 During Corso’s service, these committees were both physically located at the Department of State, and headed by the Deputy Secretary of State. 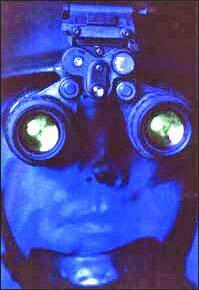 During my military career at one time or another, I counted nine clearances above “Top Secret,” granted to me. These included cryptographic, satellite, code and intercept, special operational clearances and the “Eyes Only” category of special White House (NSC) matters. Corso is here claiming that while serving as a staff member of Eisenhower’s NSC, he was given access to ‘UFO’ information. Claims attributed to Corso by Dr Randle that Corso served with Majestic-12 may be explained from the precise role played by the OCB. 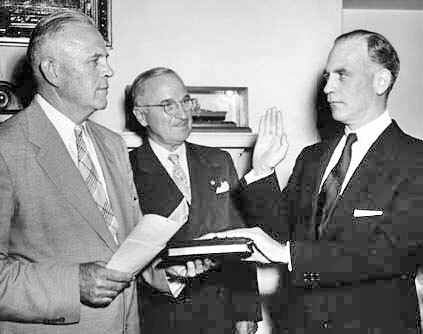 The OCB was the successor to the Psychological Strategy Board (PSB) that had been initially created by Gordon Gray, a former Secretary of the Army, in 1951.
while President Harry S. Truman (center) witnesses the event. Given the high level of security attached to all MJ-12 activities, it can be assumed that the PSB had been created to perform certain functions for the secretive MJ-12 Group. The PSB was created “under the NSC to coordinate government-wide psychological warfare strategy.” 25 Both the PSB and the OCB were based on developing psychological warfare strategies. to develop appropriate psychological warfare strategies to deal with the public response to the UFO phenomenon. Corso was most likely referring to his service on the PSB/OCB as the basis for his later claims to have been formally associated with MJ-12. Corso’s background as a military intelligence officer would have equipped him well to serve on a committee (PSB/OCB) performing psychological warfare functions authorized by MJ-12 to manipulate the public response to the UFO phenomenon. The criticism against Corso that he embellished his service record in claiming to have been associated with MJ-12 is therefore not supported by the documentary evidence. The lack of effort of Randle to find a plausible explanation for Corso’s claim regarding being professionally associated with MJ-12 suggests that once again he has crossed the Rubicon from objective criticism into debunking. 4. 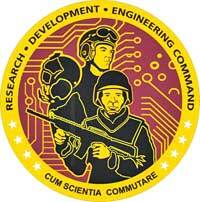 Did Col Corso head the Foreign Technology desk at Army Research & Development for two years? Col Corso’s military record confirms that he served as Chief of the Foreign Technology Division from 18 April 1962 to 18 July 1962. Prior to this period he was assigned as a Staff Officer in the Plans Division from May 5 to June 25, 1961, and then as staff officer in the Foreign Technology Division from 26 June 1961 to April 1962. Furthermore, from 18 July, 1962 to his retirement on 1 March, 1963, he was once again assigned as a Staff Officer in the Plans Division of Army R & D. It is this entire period of serving in Army R & D that Corso describes as the “two incredible years” of heading the Foreign Technology Desk. Corso’s claim is supported by his close relationship with Trudeau and his former senior positions as battalion commander at White Sands Missile Range and Inspector General of the 7th Army. Col Alexander discovered in his research that Col Corso had another officer nominally above him in the organizational hierarchy, but Corso was known to be effectively in charge of the Foreign Technology desk created under General Trudeau. This was confirmed to Col Alexander by senior military officials aware of Corso’s work with Gen Trudeau. The FTD was a very small unit possibly comprising just Corso himself. This supports Corso’s testimony that he was in charge of the Foreign Technology desk over a two year period 1961-63, and not solely the ninety days confirmed in his military record. The great emphasis placed in this discrepancy between what Corso claimed and what his record establishes, once again shows how Corso’s critics fail to identify plausible explanations for this inconsistency. A number of plausible explanations exist for this discrepancy without undermining Corso’s central claim of heading the FTD. Consequently, the overblown emphasis on this inconsistency between Corso’s claims and his records, once again reveal that critics such as Dr Randle and Friedman cross the Rubicon between objective criticism and debunking. 5. Did Col Corso Play a role in disseminating extraterrestrial technologies into private industry? There has been much criticism of Corso’s claims of seeding extraterrestrial technologies into civilian industries. It needs to be pointed out that Corso consistently laid credit for the covert program to seed civilian industries with extraterrestrial technologies to his superior, Lt General Arthur Trudeau. As a former intelligence officer who served with Gen Trudeau, former head of the Army’s Military Intelligence (G-2), Corso was entrusted with extraterrestrial technologies to seed into civilian industries. He likely performed this covert function with the same single minded focus that exemplified his highly distinguished military career. Nevertheless, Corso consistently laid the chief credit for the covert extraterrestrial technology seeding program with Gen Trudeau, and not himself. Nevertheless, he is assailed by critics for exemplifying hubris. Corso’s critics have attempted to lay the charge of hubris on Corso without appreciating the implications of the unique circumstances that had placed in such a sensitive role. As the trusted personal assistant to the head of the Army R & D program, Corso was in the precise position to play his part in a covert program that could have had an enormous effect on human society. That is a statement of fact supported by documentation, rather than hubris which is based on the conjecture of critics. Consequently, the ad hominem attacks on Corso’s reflections on the significance of his historical role in a secret Army program to seed civilian industries with extraterrestrial technologies are at best a distraction. At worst, such ad hominem attacks are more evidence of Corso’s critics crossing the Rubicon between objective criticism and debunking . See http://www.cufon.org/cufon/corso_da66.htm * I thank Paola Harris and Jan Aldrich for forwarding FOIA information available on Dr Phillip Corso which assisted me greatly in assessing the validity of Corso’s testimony and criticisms made against him. Philip Corso, L’Alba di una Nuova Era: I Segreti Alieni Nascosti dal Pentagono, tr. Maurizio Baiata (Pendragon, 2003). I thank Paola Harris for generously giving me a copy of Maurizio Baiata’s Italian version of Corso’s original notes. The Day After Roswell, 62. The Day After Roswell, 38. L’Alba Di Una Nuova Era, 127. The Day After Roswell, 2. L’Alba Di Una Nuova Era, 31. See Stanton Friedman, Top Secret/Majic (2005) 56-85. The Day After Roswell, 1. For Randle’s criticism go to: http://www.virtuallystrange.net/ufo/updates/2005/dec/m13-004.shtml. L’Alba Di Una Nuova Era, 29. Private email from Col Alexander on May 20, 2005. L’Alba Di Una Nuova Era, 44. L’Alba Di Una Nuova Era, 15. L’Alba Di Una Nuova Era, 16. 6. Did Philip Corso Witness an EBE while Stationed at Fort Riley, Kansas? Col Corso claimed that while on duty at Fort Riley Kansas, on July 6, 1947 he saw an Extraterrrestrial Biological Entity (EBE) being shipped from Roswell, New Mexico to what is now Wright Patterson Air Force Base in Dayton, Ohio. Whatever they’d crated this way, it was a coffin, but not like any coffin I’d seen before. The contents, enclosed in a thick glass container, were submerged in a thick light blue liquid … the object was floating, actually suspended, and not sitting on the bottom with a fluid over top, and it was soft and shiny as the underbelly of a fish. Corso’s military records give credibility to his EBE story. He was stationed at Fort Riley Kansas from 21 April 1947 - 12 May 1950; with the rank of Major. Events he described as the alleged duty officer on the night the EBE body arrived at Fort Riley en route to Wright Patterson AFB; are corroborated, in part, by his military record. Corso’s story has been challenged by critics such as Stanton Friedman. Friedman has questioned whether something as important as an EBE would have been shipped overland from Roswell Army Air Force Base to Dayton, Ohio. I personally don't understand why the body would have been sent by truck (without a 24-hour guard) rather than plane, and why it came from Ft. Bliss which is Southwest of Roswell though it was HQ for the rocket scientists at White Sands Missile Range. Consequently, Friedman’s argument that Fort Riley lies “well North of Highway 40” is a gross error. So Fort Riley was indeed on the most direct route between the East and West coast, though not on the most direct route from Fort Bliss. Friedman asks why the convoy came from Fort Bliss which is southwest of Roswell, rather than having proceeded directly north to Route 40 and onwards to Fort Riley and Wright Patterson AFB, the more direct route. While he acknowledges that Fort Bliss was the HQ of German scientists working at White Sands Missile base, he fails to identify the obvious answer for why the UFO artifacts were transported there. The German Scientists, experts in advanced aviation technologies and working on the stockpile of former Nazi V2 rockets at White Sands, were called upon to identify the artifacts from the New Mexico crashes at Roswell/Corona and ‘Plains of St Augustine’. Their knowledge of advanced Nazi aviation systems would have been vital in determining the origins of the Roswell crash material. 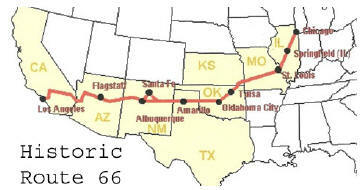 Friedman is correct however that the more direct route from Fort Bliss could have included another route, at least part of the way, such as Route 66 which was at the time another major East-West corridor. 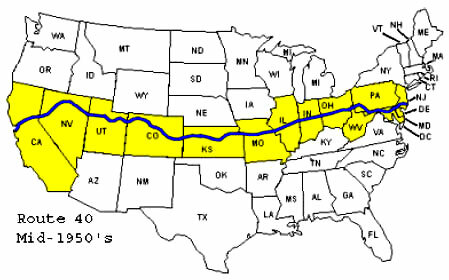 If the convoy did come from Fort Bliss as Corso suggests, why didn’t it take the most direct route north to US 66, then East to St Louis Missouri, then on to US 40 for the remainder of the trip to the Wright Patterson? One answer might be that Fort Riley was a major military staging post for East-West travel as demonstrated by Eisenhower’s pre-WWII military maneuvers. Another is that Route 66 may have not been suitable for such a sensitive military cargo. Fort Riley undoubtedly offered a number of benefits as a major military staging post and would have been a logical choice for the long road trip from Fort Bliss to Wright Patterson. The bodies from the Plains might have been picked up by July 6, but wouldn't they far more likely have gone to one of the nearby military bases, and either been studied there or flown out? The date provided by Corso is consistent with what is known about the flying saucer crash that allegedly was scattered over two sites: Roswell/Corona and the Plains of St Augustine. According to various sources, both sites were independently discovered on July 3.9 While only vehicle debris was found on the farm of Mac Brazel, four EBE bodies were allegedly found at the second crash site at St Augustin. Friedman posits that the bodies from the Plains of Augustin could have been picked up by July 6 as Corso claims, but suggests that it would have been more reasonable to have them studied at the nearby military base and/or flown out. As mentioned earlier, Fort Bliss was a logical choice given that it was the HQ for German scientists and others working on the White Sands rocket program. As for why the bodies weren’t flown from Fort Bliss rather than trucked overland, safety concerns might have dictated that a land route was preferable to air travel. The crash of a truck would lead to minimal damage to an EBE whereas an air crash may have led to the complete destruction of this valuable cargo. 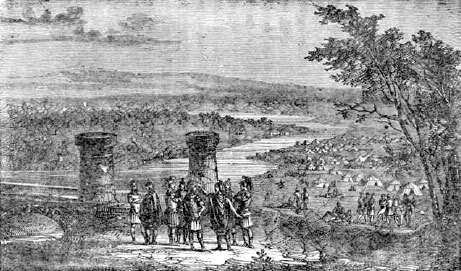 Indeed, it may have been decided to sent the EBEs by both air and road since Corso claims to have seen only one body. Overall, in his criticism of Corso’s story concerning the dead EBE Friedman is mistaken and misleading in a number of ways. First, he makes a basic mistake concerning the proximity of Fort Riley to Route 40. Second, he is misleading in terms of Route 40 being the most direct route to Wright Patterson Air Field. Third, he overlooks a very plausible explanation for why retrieved artifacts from Roswell/Corona and Plains of St Augustine were taken to Fort Bliss. Finally, overlooks why Fort Riley was a logical choice as stopping off point for a road convoy starting from Fort Bliss and traveling to Wright Patterson Air Field. Consequently, Friedman’s claim that Corso “almost certainly” concocted the Fort Riley incident, has no merit. Friedman has again strayed from objective criticism into the debunking of Corso’s claims. 7. Did Corso Confront the CIA while serving at the Foreign Technology Desk? One of the most important inconsistencies, in Spark’s view, is Corso’s description of an alleged confrontation with the former head of the CIA’s covert operations Frank Wisner some time after Corso began working under General Trudeau at the Pentagon, in May 1961. In his book, Corso described the incident where he walked into Wisner’s office and demanded that he put an end CIA agents following Corso. I told Wiesner [sic] to his face that yesterday was the last day I would walk around Washington without a handgun. Problem is that Frank G. Wisner (not "Wiesner") had been hospitalized and replaced as top CIA covert operator nearly three years earlier in August 1958…. Worse still, Wisner’s office was not even in the U.S. in 1961 but was in London. Wisner had been sent overseas to take the less demanding post of CIA Chief of Station in London on August 6, 1959, but was recalled from London in the spring of 1962 and resigned from the CIA entirely in August 1962. It is very likely that in the communication between Corso and his co-writer, William Birnes, the precise date of the alleged confrontation encounter in Spring 1962, was mistakenly implied to be mid-1961 when Wisner was based in London. It is conceivable that it would have taken some time for Corso to realize he was being followed after taking up his new position at the Foreign Technology Desk, and to determine the person responsible for him being followed. Wisner knew Corso from the time of the latter’s service in the Eisenhower administration, where they were antagonists. It is very likely either that Wisner played a role in what was occurring with Corso, or possible that Corso mistakenly assumed this to be the case. The important point is that Wisner was stationed in Washington DC at the same time as Corso was at the Foreign Technology desk. This makes it possible that the meeting actually occurred in Spring/Summer 1962, and not during mid 1961, as implied in the book. Sparks also points out that Corso’s claim that Wisner committed suicide in London in 1963, was incorrect and that Wisner actually took his own life at his family farm in Maryland in October, 1965. The major problem with Spark’s criticism is that the circumstances of Wisner’s death were abstract facts that Corso was attempting to recall after more than 30 years. As for his alleged confrontation, Corso quite likely got the dates wrong, but that doesn’t preclude the circumstances and dialogue at the confrontation that he described. Spark’s ignores the historical facts supporting Corso’s testimony. Wisner was a former antagonist at the CIA who headed the CIA’s covert programs, while Corso was simultaneously worked with Army Military Intelligence (G2) under Lt General Arthur Trudeau. This was the time of a major confrontation between Allen Dulles (CIA Director) and Trudeau where the latter was relieved from his command. The details of this conflict are still to be fully disclosed but there is no doubt that Trudeau still enjoyed the support of the US Army that ‘promoted’ him in 1958 to his new position as head of Army Research and Development. Corso subsequently served under Trudeau in a sensitive position with the Foreign Technology Desk, which the CIA would have had interest in monitoring. Finally, from Spring 1962 until August 1962, both Wisner and Corso were in Washington DC at the same time, a fact Spark ignores. In conclusion, Spark’s critique of Corso is mainly focused on historical details that the latter gets wrong in his book. This may be entirely due to the way in which Corso communicated with his co-writer, William Birnes, or insufficient details in his personal notes or his recollections. At the time of collaborating with Birnes in writing of The Day After Roswell, Corso was approximately 80 years of age and his health was deteriorating. He certainly would have been tested to get all the details right in his recollection and communications with Birnes, given the decades that had elapsed since his experiences. Sparks inclusion of the Wisner story as an example of Corso being a “rank literary hoaxer” is further evidence of Sparks unwillingness to consider alternative explanations for inconsistencies in Corso’s claims. In not considering the alternative explanation that Corso got some dates and details wrong in his recollections due to poor health and/or sketchy notes, Sparks is once again crossing the Rubicon from objective criticism into debunking. 8. Was Corso Head of the White Sand’s Missile Firing Range? Corso has been accused by Major Randle of embellishing his military record in a number of ways one of which concerns Corso’s service at White Sands Missile Range. I watched him at the Roswell press conference where he claimed that he had been the Commander at the White Sands Missile Range. Not that he had been a Commander (of a Battalion) but the Commander. I have watched the tape dozens of times, and he clearly claims that he was "The Commander". In both his book and original notes Corso clearly is claiming that he was the commander of a battalion based at White Sands Missile Range. His military record confirms that in June 1957 he began a new position as Battalion Commander at White Sands Proving Ground. His military record supports the claims Corso made in his book and original notes. In his criticism of Corso, Randle refers to the 1997 Roswell interview where Corso referred to himself as “the Commander” rather than “a Commander” at White Sands Missile Range. Randle goes on to conclude that Corso was deliberately embellishing his military record. Randle doesn’t provide any transcript of what Corso precisely said and neither does he provide the full context for the latter’s comments. While Randle claims to have repeatedly listened to the interview, he doesn’t provide the context of Corso’s discussion where he may have been referring to himself as “the Commander” of the missile battalion at White Sands, rather than “the Commander of White Sands”. If the former, then Randle is at fault for not correctly identifying Corso’s intention in making the comment and the correct context for Corso’s comments. If Corso did refer to himself as “the Commander” at White Sands then he may have simply made a mistake in correctly identifying his former position, rather than trying to deliberately embellish his record. In 1997, Corso was 82 and his health was quickly deteriorating. His detailed recollection of events and positions would have been questionable in an interview. Yet in his book and original notes, there is no ambiguity here; Corso correctly identified himself as the Battalion Commander at White Sands, rather than the Commander of White Sands. In making his claim that Corso was embellishing his military record, based on an interview, rather than the more precise original notes and book that described his position, Randle is going too far in his criticism. In the worst case scenario, Corso may have simply made a mistake in the interview and Randle is correct to point out the inconsistency. Yet this possible mistake is something Randle has not proved and merely asserted from his recollection. More importantly, Randle is claiming that Corso was deliberately embellishing his military record. Randle needs to come up with more instances where Corso is repeating such an error, rather than in one isolated interview. Consequently, Randle’s claim that Corso deliberately embellished his military record is not an objective criticism, but a form of debunking. 9. Was Corso ‘Unreliable’ as claimed by the FBI? An FBI report on Col Corso contained particularly ungenerous depictions of him as "shifty-eyed", a “rat”, and “a parasite”. 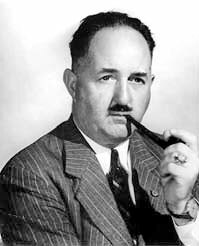 Even Corso’s former boss, Lt General Trudeau who headed the Army’s Military Intelligence (G-2) during the 1950’s, received disparaging comments in the FBI Report for his and Corso’s role in seeking to identify Fabian Socialists while at G-2 and at Army Research and Development. In 1955, Trudeau and Corso had compiled a list of alleged Fabian Socialists and passed this list on to different government agencies. This led to a serious confrontation between G-2 and the CIA that culminated in Trudeau’s eventual replacement at G-2. The above criticisms are remarkable given Trudeau’s military intelligence experience as the former chief of G-2, and Corso’s role in some of the most sensitive committees in the Eisenhower Administration involved in covert operations and counter-intelligence. Clearly, Corso and Trudeau had created powerful enemies in various government agencies for their efforts in identifying ‘Fabian Socialists and ‘communist sympathizers’. As part of a routine security check, the FBI passed on this damaging information to the Immigration and Nationalities sub-committee of the House of Representatives in 1965 that was considering employing Corso. The Report effectively stymied his application. Some parts of the classified report were even leaked by the FBI to a reporter who wrote a story on Corso being blackballed by the FBI. The background of the FBI’s damming report was due not only to Corso’s work with Trudeau in forwarding a list of alleged Fabian Socialists in 1955, but also his accusation that Lee Harvey Oswald was a paid FBI informant. Corso refused to divulge his CIA source. This led to strained relations with the FBI who demanded to know who was spreading such rumors. The FBI was furious that Corso would not reveal his sources. On behalf of Senator Richard B. Russell, a senate member of the Warren Commission, Corso was investigating the effectiveness of the Warren Commission’s own inquiry into the Kennedy assassination. Corso and Russell were seeking to discover evidence of a possible Cuban/Communist role in the assassination. Since the FBI were acutely aware of Corso’s belief that the FBI had Oswald on its payroll, it had a direct interest in portraying Corso in a negative light, and to prevent his appointment to any Congressional committee. The FBI assigned J. Edgar Hoover’s aide, Cartha DeRoach, who performed special assignments for Hoover, to the Corso case. This was evidence that Corso was a significant player in the Warren Commission investigation and that the FBI took him very seriously. Consequently, the FBI report on Corso needs to be seen as the FBI’s effort to tarnish an individual they believed directly threatened the reputation of the FBI. In seizing upon the FBI criticism of Corso as ‘unreliable’ Sparks, Randle and other critics suggest that this ‘impartial’ criticism casts doubt on his later UFO testimony and supports their view that Corso ‘lied’. This ignores the context for the FBI’s damning report on Corso, and ignores the direct interest the FBI had in discrediting Corso due to his investigation of the FBI-Oswald connection and his earlier work at G-2. In not revealing the FBI’s interest in discrediting Corso, Corso’s critics perpetuated the character assassination unleashed by the FBI. Corso had an impact on the Warren Commission investigation into the Kennedy Assassination and directly threatened the reputation of the FBI. Once again, in not considering the alternative explanation that the FBI report was slanted to discredit Corso, his credits have crossed the Rubicon from objective criticism into debunking. 10. Was Col Corso Promoted to Full Colonel Upon his retirement? His military record verifies that he did have this rank while heading up the Foreign Technology desk, and that this was his final rank upon leaving active service. Corso was a US Army Reserve Officer who had been on active service for 21 years until his retirement in 1963. The Second World War had led to the greatest expansion of the US Army in history and many Reserve officers such as Corso continued to serve on extended active duty after the Second World War. There were differences in the promotion process for Reserve officers as compared to Regular Army officers, making it more difficult for the former to rise through the ranks. In an effort to assist Reserve officers, Congress had passed the Reserve Officer Promotion Act in 1954. Under the Promotion Act, Corso was eligible and apparently received a promotion upon his retirement, to redress the lack of promotion opportunities he enjoyed while on extended active service. The main critic of Col Corso’s claim that he was promoted upon retirement is Major Randle. Given Randle’s military background and current appointment in the Iowa National Guard, his criticism has carried much weight. First, when asked why the cover of his book said "Colonel" rather than "Lieutenant-Colonel", Corso replied that he had been promoted to Colonel in the Reserve so the title was appropriate. I won't mention here that publishers often make assumptions and the mistake could have been blamed on them. Now there are two points to be raised here. First, Randle claims that Corso lied since his DA 66 doesn’t mention the promotion. Second, Randle makes a disparaging comment over the fact that while Corso had achieved the rank of Major in 1945 (the actual date was 1947), he retired in 1963 only one rank higher. On the surface, this appears to be a rather pedestrian military career and casts doubts on some of Corso’s claims to have been in charge of very sensitive military projects. The problem with Randle’s criticism is that he fails to mention the more difficult promotion opportunities for Reserve officers on extended active service. More to the point, he fails to mention the existence of the Reserve Officer Promotions Act; and how under this Act Corso would have been automatically promoted upon retirement, but this would not necessarily have been recorded on his DA 66, as confirmed by Maj General Bockel. Rather than the absence of any record of Corso’s alleged promotion to full Colonel on his DA 66 conclusively showing that Corso lied; the absence instead shows how Randle fails to consider alternative explanations. Randle jumps to damming conclusions regarding Corso’s claims that reflect Randle’s own prejudices. So once again, the failure to consider alternative explanations is evidence that Randle has crossed the Rubicon from objective criticism into debunking. 11. 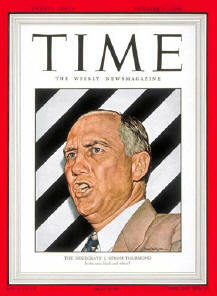 Did Col Corso deceive Senator Strom Thurmond? 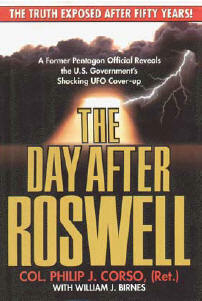 In the original hardcover version of The Day After Roswell, a preface by Strom Thurmond appeared. Subsequently, the preface was withdrawn allegedly due to the Senator Thurmond not having been aware that it would appear in a book about UFOs and Roswell. A number of Corso’s critics have seized upon this incident as evidence that Corso is unethical. Corso’s critics have repeated this criticism that since Thurmond wasn’t aware that Corso was going to use his preface for a book on Roswell and UFOs, that Corso lacked integrity. However this criticism was refuted by the reprinting of a release signed by Strom Thurmond in the October 2001 edition of UFO Magazine. The fact that Thurmond had signed a release explicitly mentioning Corso’s book on Roswell refutes the criticism that Corso “had pulled the old bait and switch” on Thurmond as Randle contends. Despite Thurmond’s release having become public knowledge in October 2001, Randle nevertheless continued to claim that Corso had deceived Thurmond and therefore lacked integrity. In the case of Friedman, he never replied to Bourdais public notice of UFO Magazine’s reprinting of Thurmond’s signed release, and never retracted his criticism that Corso had “ethical questions” over the preface episode. The above demonstrates Randle’s lack of integrity in continuing to essentially ‘defame’ Corso by repeating a criticism that had been conclusively shown to be baseless. Similarly, an ethical response from Friedman would have been to acknowledge his own error in raising “ethical questions” over Corso, but to date this has not occurred. So we have outstanding criticisms by Randle and Friedman against Corso on the basis of an allegation that was shown to be baseless. This demonstrates the unethical lengths to which veteran UFO researchers have gone in attempting to debunk Corso. This conclusively demonstrates the clear prejudices of Randle and Friedman when it comes to critiquing Corso, their lack of objectivity and efforts to ignore evidence that is contrary to their stated views that Corso willfully misled or lied in his testimony. It is this willingness to “consider alternative explanations without prejudice” that helps identify the conceptual Rubicon between ‘objective criticism’ and ‘debunking’. My analysis of Col Corso’s critics shows that they routinely dismiss alternative explanations for a number of inconsistencies in Col Corso’s claims, and for mistakes he made. In analyzing numerous claims made by Corso and subjecting these to detailed critique, they ignore the common sense view that mistakes and inconsistencies can easily be explained by the advanced age and deteriorating health of Corso in the twelve month period from the publication of his book in July 1997 to his death in July 1998, at the age of 83. While Corso predictably focused on communicating the substance of his experiences and information, the details would have become increasingly blurred as poor health set in. While it is desirable to have details correct when discussing the extraordinary events Corso disclosed, it’s important to keep in mind that Corso was recalling events that occurred more than three decades earlier. It is very likely he made mistakes in recalling details when recounting incidents and positions in his book and interviews. This is especially the case given the level of sensitive classified information he was revealing and the obvious concern not to reveal anything that might negatively impact on U.S. national security. In this analysis of Col Corso’s critics what emerges is a pattern whereby they consistently focus on any inconsistence or mistakes made by Corso in his books and interviews, and suggest that these make Corso unreliable as a witness. In dismissing alternative explanations for why Corso may have made mistakes such as the correct position titles for his appointments as a ‘staff member’ and not a ‘member’ of the NSC system under Eisenhower; as a ‘battalion commander’ and not “the Commander” at the White Sands Missile Range; Corso’s critics are not displaying objective criticism but are engaging in debunking. Furthermore, in making erroneous statements in discussing possible routes taken by an army convey traveling from New Mexico to Wright Patterson AFB, why Fort Bliss was a logical choice for the Roswell/Corona/St Augustine wreckage, and why overland travel was a sensible security precaution, critics such as Friedman display a lack of objectivity. Brad Sparks’ overheated rhetoric over Corso’s mistakes in recalling the correct details concerning his meeting and the demise of a former CIA antagonist in 1961-62, displays Sparks’s lack of objectivity. 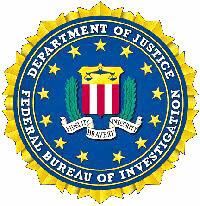 The references by Randle, Sparks and others to a critical FBI report of Corso, ignore Corso’s role in investigating a link between the FBI and Lee Harvey Oswald on behalf of one of the Warren Commission’s members, and how this directly threatened the FBI’s reputation. The final episode concerning Corso’s alleged deception of Thurmond has been shown to be baseless. Yet Randle continues to regurgitate this criticism as though it were valid, and Friedman has not publicly withdrawn his comments that the Thurmond issue raised ‘ethical questions’ about Corso. In arguing that Maj Kevin Randle, Stanton Friedman and Brad Sparks have routinely crossed the Rubicon from objective criticism into debunking in their criticisms of Corso, I have cited Dr Haiash’s prescription that science works by assessing a range of alternative explanations for any phenomenon under scientific investigation. This is no less the case for social science phenomenon such as the extraordinary claims of whistleblower testimony, and possible inconsistencies and mistakes in these claims. In routinely ignoring alternative explanations for the inconsistencies and mistakes made by Corso; Randle, Friedman and Sparks have engaged in what appears to be the deliberate debunking of a very important whistleblower. In debunking Corso, each to varying degrees, have displayed a remarkable degree of prejudice concerning the usefulness of Corso’s testimony. This prejudice has led to them concluding that Corso is a literary hoaxer, a liar and/or a fraud. The above three critics of Lt Col Philip Corso has willfully hampered an objective examination of Corso’s substantive views concerning his role in disseminating UFOs information by deliberately focusing on minor details, inconsistencies or mistakes in his testimony. Furthermore, these veteran UFO researchers with collectively over 100 years of UFO field work experience, have deliberately ignored evidence that supported Corso’s claims as exemplified in Thurmond preface issue. Each of these researchers deserves to be censored for their willful debunking of Philip Corso, and for the great harm they have done to his reputation, and to setting back UFO research for years by ignoring the important testimony offered by Corso. While seeking to cast doubt on Corso’s integrity, what these critics have instead achieved is casting doubt on their own integrity as objective researchers of the UFO phenomenon. Corso’s credentials have been well documented. All UFO researchers would concede he is a vitally important whistleblower, without necessarily accepting all his claims. Nevertheless, given the available documentation substantiating many of Corso’s claims in terms of his career positions and responsibilities, there is good reason to suppose that much of his testimony concerning extraterrestrial technology and EBEs is based on real events. While there are certainly inconsistencies and mistakes in Corso’s testimony, these largely concern details that have little to do with the substance of his claims that he was in charge of a covert Pentagon project to seed civilian industries with extraterrestrial technologies, and that he witnessed an EBE from the 1947 Roswell crash. Corso’s documented background inspires confidence in the credibility of his testimony. In attempting to debunk Corso in an effort to discredit his testimony, Corso’s critics deserve to be admonished for distracting UFO researchers from the task of identifying the truth in Col Corso’s remarkable testimony. What remains to be done is a truly objective and impartial analysis of Corso’s testimony, and its implications concerning a high level governmental cover up of UFO and EBE information. I look forward to collaborating with other researchers in this monumental task. Kevin Randle & Donald Schmidt, UFO Crash at Roswell (Avon Books, 1991) 28-32. “Eisenhower Briefing Document,” The Majestic Documents, ed., Robert and Ryan Wood, 129. The Day After Roswell, 94. “L’Alba di una Nuova Era,” 39.